For anyone who is in the market to buy a home or soon will be, finding the right property is typically only half of the battle! The other half, unless one is paying cash, is applying for a mortgage and then fighting the battle to ultimately be approved. In the pre-financial crisis world qualifying for a mortgage was not a particularly difficult process as lenders bent over backwards to make loans that they would package and then sell-off to investors around the world. Often it was simply ‘stating’ what it was that the underwriters wanted to hear. Post-crisis of course the game has changed and the approval process has become much more difficult to navigate through. So that said, what is a potential borrower to do? And, by the same token, what should they absolutely not be doing? List Of Do’s And Don’t For Mortgage Applicants! DO make sure you pay all of your bills on time. Any late payments in your history must be explained. And recent late payments damage your scores more than blemishes from many years ago. DO be cognizant of the amount of debt you carry. Lower debt means lower payments, which makes it easier for you to qualify for a mortgage. DO be discerning when allowing a lender to run your credit. A few inquiries won’t hurt. However, dozens of inquiries over a few-month period will likely have an adverse effect on your credit scores! DO save all of your financial documents. Your lender will require your most recent four weeks’ of paystubs, most recent two months’ bank statements (including ALL pages), and most recent two years’ federal tax returns. It’s possible your lender will require updated documents throughout your transaction as well. DO provide ALL of the documents your lender requests, when they’re requested. A superior Loan Originator knows what to ask for up front and will request everything at once instead of bleeding you for paperwork throughout your transaction. And when requested, please provide all requested paperwork promptly! DO communicate with your lender. If they contact you, there’s probably a good reason. Return their call! DO inform your lender of any and all employment changes that may take place during the course of your transaction – no matter how insignificant they may seem! A new job, a change in title, or a change in pay rate or type can have significant consequences! DON’T close credit lines or infrequently used credit cards. Contrary to popular belief, this will harm your credit, not help. Before and during the course of your mortgage transaction, DON’T lease a new car, charge up the balances on your credit cards, or apply for any new credit. . If you must have that new dining room set, wait until after you’ve closed before purchasing it. DON’T make ANY large deposits without talking to your lender first! All large deposits, regardless of their origin, must be verified back to their source via a paper-trail of documents. Plus, what constitutes a “large deposit” is often subjective to the underwriter. And for God’s sake DON’T deposit cash! DON’T open, close, or transfer assets between different accounts unless absolutely necessary. This too creates a paperwork nightmare. If you plan to receive gift funds or need to liquidate investments, DON’T wait until the last minute. Remember, the transfer of these funds must also be documented from one account to the other. If you wait until the last minute, you may find your closing delayed because you’re waiting for your next bank statement or trade confirmation. DON’T wait until after you’ve found a house before getting pre-qualified! In the eyes of a seller or Realtor, a buyer who isn’t prepared is at a distinct disadvantage to other buyers who already have their financing in place. 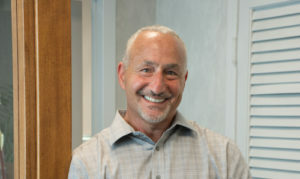 This list of Do’s and Don’ts are courtesy of Warren Goldberg, owner of Mortgage Wealth Advisor’s.